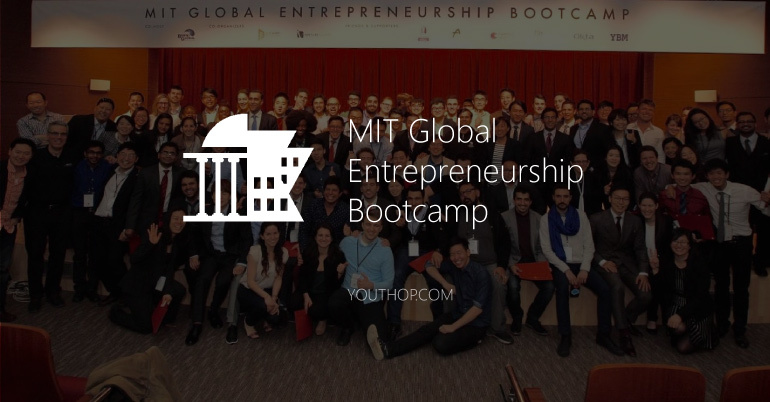 Interested In The MIT Global Entrepreneurship Bootcamp? The MIT Global Entrepreneurship Bootcamp is a nexus connecting entrepreneurs from around the world to the entrepreneurial ecosystem surrounding the Massachusetts Institute of Technology. MIT has opened its doors to entrepreneurs around the world to learn innovation-driven entrepreneurship in the spirit of mens et manus. The bootcamp is a 3-month mentorship program that begins with a one-week, intensive, in-person training and culminates with a reunion at MIT. This is a highly selective program for highly motivated students. At the last Bootcamp, MIT selected 61 bootcampers out of more than 800 applicants. The selectivity makes for a company of world-class peers. Entrepreneurs selected to attend will be expected to start a company in one week, a lofty challenge designed to test their resolve to achieve the impossible and pitch their startup to a panel of investors, giving them a taste of "drinking from a firehose" that all MIT students experience. Admissions will be made on a rolling basis. Admissions and scholarships will be awarded based on merit.